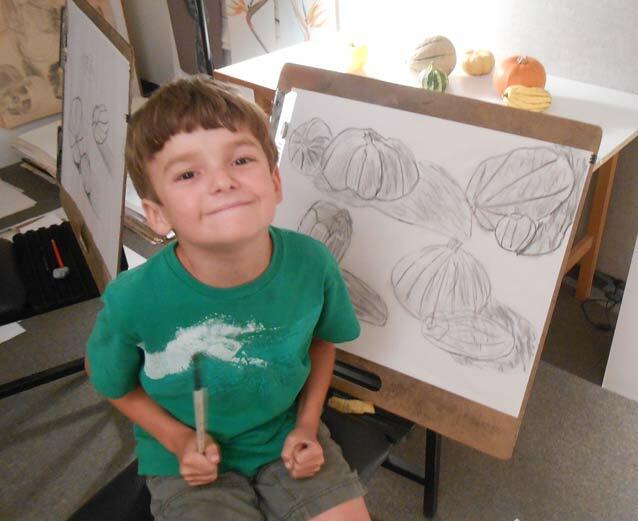 On-going, Thursday Evenings: The family that draws together, has fun together! 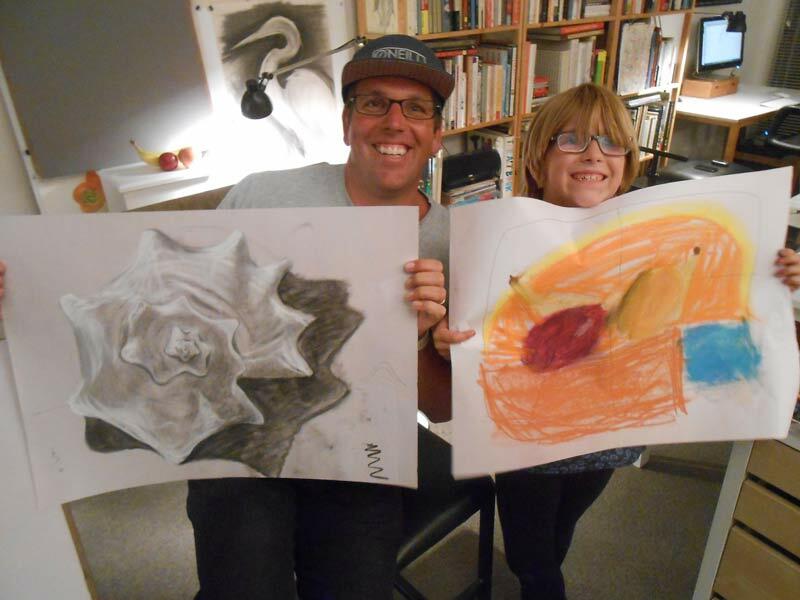 Our Draw With Your Kids program (7-12 years old, and parent) teaches a meaningful approach to exploring and applying your child’s innate desire to draw. Parents and kids learn fundamental skills such as gripping the pencil, drawing with lines and shapes, observational drawing, and sketching 3D objects. Learning to draw from life is… well… what does this smile tell you?